Kathleen commissioned me to create a giant watercolor painting to be used as a guest book at her and Caleb's wedding in Dallas, Texas. She wanted it as large as possible and covered in pink and yellow flowers. The result was this massive 24" x 36" watercolor painting that their guests could sign on top of in metallic sharpies. 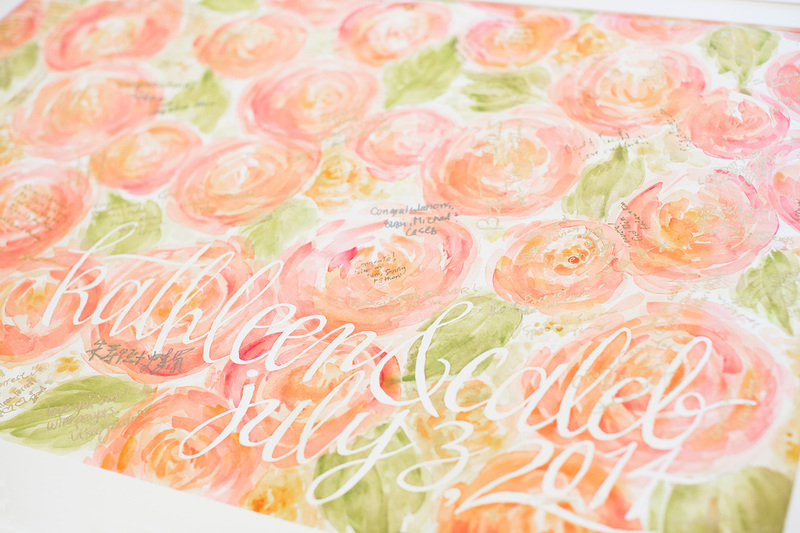 Kathleen and Caleb's names were painted in masking fluid first to create the white text. The photo below was taken at their reception by their very talented photographer, David Lai.